Reel Talk Online: What About Tichina Arnold as Sarah Vaughan? 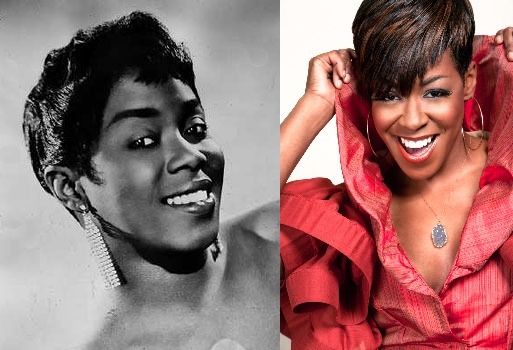 What About Tichina Arnold as Sarah Vaughan? You know it's going to be a good week if you get to kick it off with an awesome interview with actress Tichina Arnold, who was our special guest on Sunday's "Cinema in Noir." The hilarious star of such classic sitcoms as Martin and Everybody Hates Chris called in to the show to our podcast to chat about her 30-year career that began with Little Shop of Horrors and the upcoming season of Survivor's Remorse on Starz. During our conversation, the actress revealed, among other things, her comedy inspirations, dream projects, and her desire to do a movie on the legendary jazz singer Sarah Vaughan. Which immediately caught my interest because I think that would be AMAZING. Honestly, I didn't even realize how much the two favor each other until she gave me this mental image. Now I can't get it out of my mind. How cool would it be if Tichina Arnold, mostly known for her comedic roles but also has a strong dramatic background, were to play one of the most revered songstresses of all time? I vote all the way yes to this. Listen to our full interview with Arnold here (begins at the :30 mark).